It was business as usual for Barça in this Catalan derby as Lionel Messi and Luis Suárez scored the goals which took them into the Copa del Rey semi-finals. Philippe Coutinho would also bring the crowd to its feet in what was a superb cameo appearance on his debut. Ernesto Valverde had made his intentions clear by naming his strongest available XI, and the Blaugrana took the game to Espanyol from the start. Messi had already delivered a remarkable cross field pass to Jordi Alba before his incisiveness and Aleix Vidal’s pinpoint cross saw Luis Suárez powerfully head home on nine minutes to tie the scores on aggregate. As the first half wore on, Los Periquitos attempted to force the play deeper into Barça territory, but the visitors were undone when Messi unleashed a drive that was deflected home. The decibel levels continued to rise as no quarter was asked or given by both sides, though it was the hosts who had the more presentable goal scoring opportunities. A similar pattern opened the second half, with Espanyol content to soak up inevitable Barça pressure and play on the counter attack. Substitute Leo Baptistao offered the only real threat on Jasper Cillessen’s goal, but he was often outmuscled by an immense defensive performance from Gerard Piqué and fit-again Samuel Umtiti. Philippe Coutinho’s first outing in Blaugrana began when he replaced captain Andrés Iniesta in the 66th minute, and the Brazilian’s artistic brush strokes found an immediate home in a congested midfield. 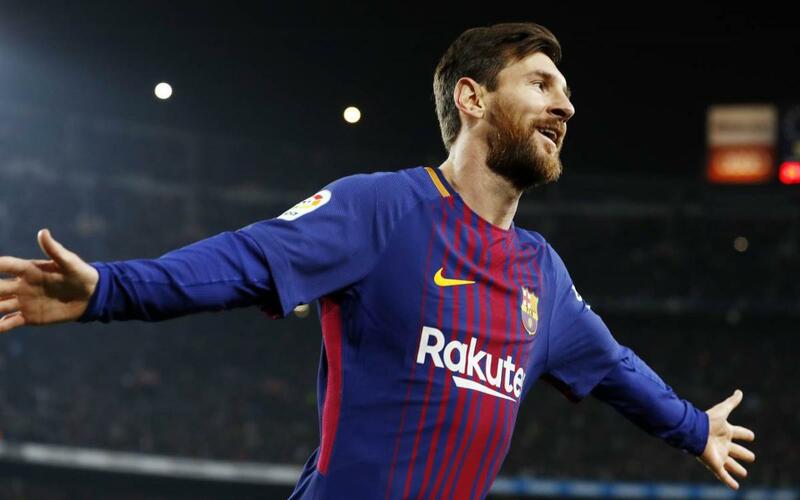 As Espanyol pushed forwards in the latter stages gaps began to open up across the pitch, and Messi came closest to adding to the score late on, his diving header cannoning back off of the post.